Well that certainly is a ways off, and will sound very weird if it happens, but they have inched one step closer by advancing to round 2 for first time in history. Congrats. Question 2: Why does Nashville even have an NHL team? Someone help me out here. 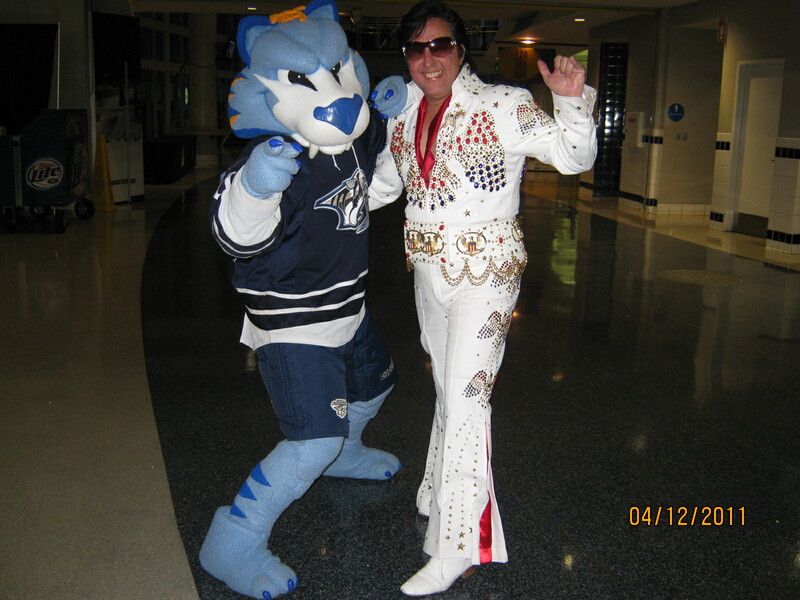 Question 3: Does “Elvis has left the building.” work when taking about the Preds? We assume he’s be a Nashville fan eh? Memphis, Nashville. Same dif. The city does a good job supporting the team! They have a solid have a solid fanbase and the fans care about the team. They have good attendance and the building is almost full every night. They do good numbers in Local TV Ratings which were up 25% this year. Some of the southern markets have failed (Atlanta, Phoenix, Florida) but some are doing great (St. Louis, Nashville, Carolina) and Tampa isn’t bad either..